They are adorable-I especially like the one with her pillow pet ready to go to the parade! It must have been great that the balloons were flown so low this year-you could get a really good look-esp for the little ones! 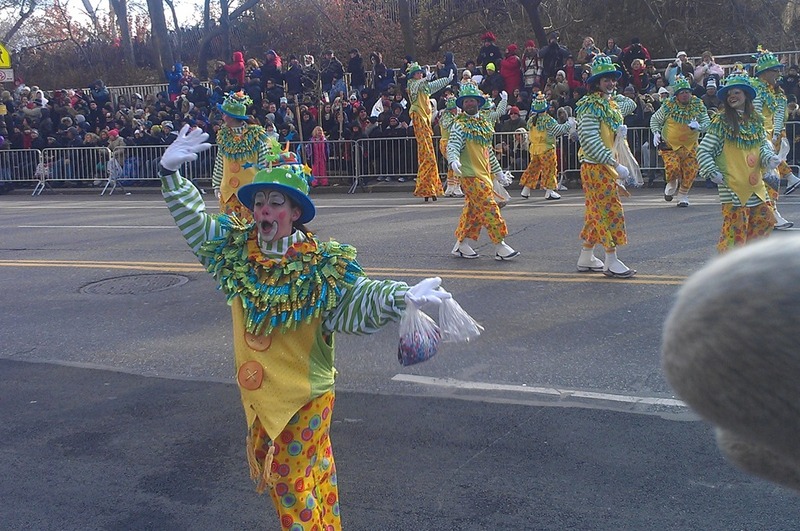 I lived in Manhatten for a year and did not make it to the parade that year and always wished I had. I grew up watching it-tradition was that my mother and I would turn it on and make the pumpkin chiffon pies. I never knew you lived there! It is definitely a fun thing to experience and I was so happy that they decided to fly the balloons. The low balloons looked harder for those holding them but awesome for us! Great blog post! It was a truly great, entertaining, and amazing weekend! Family, FUn, and Food….what else could you ask for? Miss you guys already…..
WOW! As always your photos, your family and your adventures are such a joy!!! Holiday Blessings to all throughout this beautiful season! There was a lot of laughter packed into our car ride and plenty of joy when we were all together! Adorable family! Sounds like fun-packed four days! That’s awesoem to see the Thanksgiving parade. I’m sure that would put me in full spirit for the holidays! It really does! I love NYC and that is just an exciting time to experience the holiday magic! AHH what a blast!! YES Starbucks was insane on Thanksgiving, I was so happy to be off of work by 10:15 and avoid most of the craziness! That sounds like so much fun! Magnolia bakery has the BEST cupcakes ever! What made you choose your spot for the parade? I always wonder how people from out of town decide where to watch it from. The Thanksgiving table is beautiful!! My cousins (who are locals) watch there every year. We just go with the flow but the addition of Magnolia makes it my favorite place!